Whisky Wednesday Master Series Version 2.0 allows you to discover the decadence in flavours of some of Scotland’s finest whiskies. Learn how to nose, taste and appreciate – unlocking all the mysteries of Scotch whiskies. Be one of the first ever to taste Glen Grant’a 18 year old single malt. 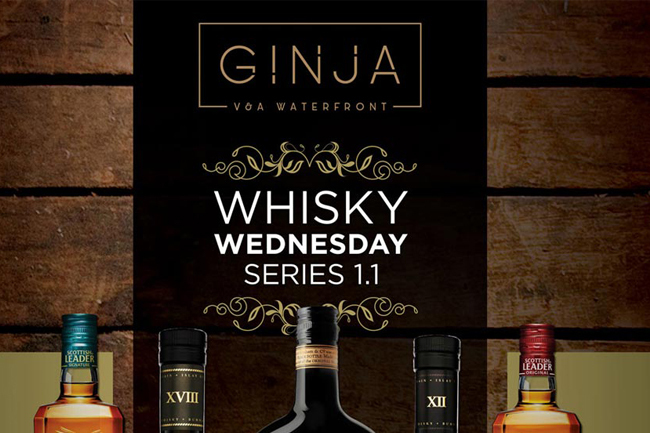 All this paired with a delicious 5 course tasting menu accompanied by the best of the Glen Grant South Africa’s whisky range The evening will be hosted by whisky connoisseur Bernard Gutman.